“Aap bhi na Arnavji. Why don’t you ever want to listen to me? Hum keh rahe hai na this is the only way. Mamiji will not listen to anything else“. Khushi Kumari Gupta clad in her jamuni colored gota laden tight fitting lukhnowi kurti stood gesturing frantically at the man standing before her. Surprisingly today Arnav Singh Raizada’s attire almost matched Khushi in its hue. His crisp maroon shirt was rolled up to his sleeves. He looked completely at home in his black waist coat over it. He wore it with such a casual aristocratic elegant air that it seemed completely normal that he would be dressed this way even in his house. They were standing facing each other at what was fondly referred to as the poolside. Twilight was descending overhead. A cool breeze had quietly sneaked in. All around them his plants swayed in this gentle breeze. The lapping water of the shallow pool and the rustling breeze would have been soothing to the ear, but Khushi did not have the time to focus on them right now. The breeze ruffled the few strands of hair that had escaped her tight plate. Her long delicate fingers impatiently brushed them behind her ear. “What the?“. ASR looked completely dazed now. Grabbing the opportunity, with a wide loopy smile on her face Khushi rushed ahead, “Aap shaadi karna chahte hai ek aam larki se. Simple. Do you have a better idea?” . “Paagal ho gayi ho kya tum?” He could not believe his ears. Warming up to his theme he continued. “Why will my marrying a girl help. And why will she marry me?” Then, almost as an afterthought he added quietly, “And marriage is no joke“. “Bilkul sahi kaha Arnavji.” Khushi almost hi fived him in delight. This she had a ready answer for. “So imagine if, kyunki humne koshish nahi ki puri tarah, jiji and Aakash ji have to give up on their chance of happiness, will you be able to forgive yourself?” She gave a theatrical vehement shake of her head to accompany this. Her long choti, with the golden paranda at the very end, swayed along enthusiastically. “Lost?.. Nahi nahi we will find her. If only Lavanyaji was like jiji and me, We could have called her back. But she was modern and mamiji already liked her. Phir kya fayda? Wo kya kehte hai.. Ha.. Live in.. Arnavji.. You can tell mamiji that though this girl has no money you don’t want live in. aap usse shadi karna chahte hai. Everyone will be so happy.” She clapped her hands together in unrestrained excitement, convinced her idea would work. If the great Arnav bitwa himself was marrying a girl who could bring no dowry then mamiji would have to say yes to Aakash ji marrying jiji. It happened in movies all the time. The side hero heroine would get to marry because the main hero heroine’s love convinced everyone. Only in this case the love story was of Aakashji and payalji and devi maiiya only knew why this laad governor had to be a part of it. 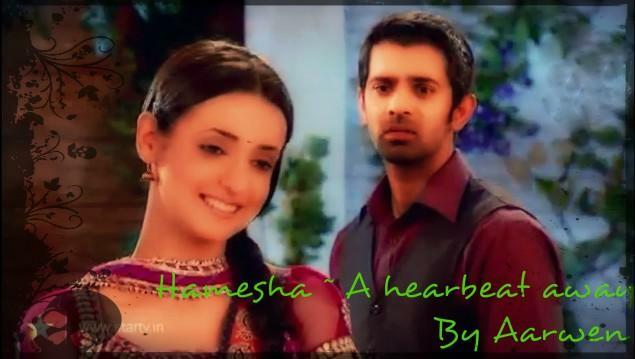 “Really, sab khush honge?” ASR’s lips had started to twitch a little at the extreme right. He just about managed to control his laughter. Khushi Kumari Gupta had suggested he marry a girl from a less well off family and then she had spoken about live in. His right eye brow shot right up and the lips curved into a sinful smile. 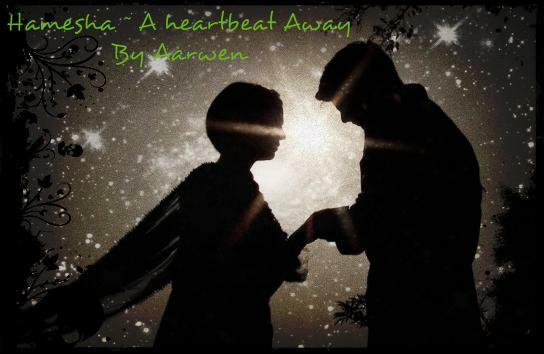 She had turned away from him at an angle and was gently swaying with a spaced out expression on her face. Time for the bait. “And you seem to know all about this live in thing..” And wait for the catch. “Am listening” . This was way too much fun. 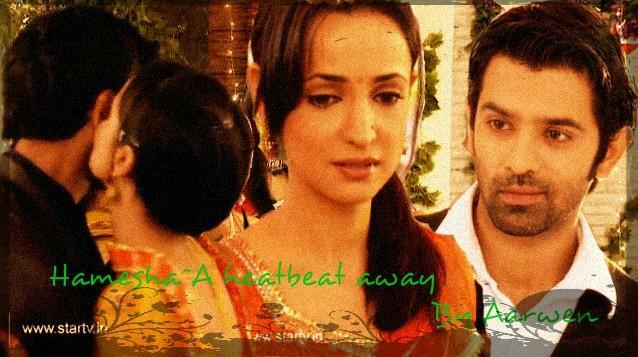 ASR was thoroughly enjoying the expression on khushi’s face. Her hands had clamped her mouth shut and her nose had turned an enticing shade of red. He had a strange yearning to raise his hand and flick her nose. He had a feeling it would be heated up. Just like her ears, which were also turning a shade of crimson now. He could feel the laughter coursing through him. Only Khushi Kumari Gupta could have such pretty ears that managed to turn red. Finally she managed to collect herself enough to mutter distractedly. “laad governor..” Of course he could hear and was even more amused. He found himself curiously wondering why everything that was to do with this girl have a habit of turning interesting. “Arnavji hum shaadi ki baat kar re hai. Not live in. Samjhe aap?“. She stated firmly. “Actually, Miss Khushi Kumari Gupta, we are talking about nothing anymore kyunki main ja raha hun. This was highly entertaining, but I don’t have time for your bakwas.” He had no plans of moving away from there though. He simply picked up the sleek silver mac book from the table and sad down on the recliner, flicked open the laptop and stared at the start up screen with as much concentration as he could muster. “Chote.. I heard Khushiji. I think it is a great idea!” Anjali limped across towards them from the french window she had been standing near. One hand held the pleats of her pale yellow sequined chiffon saree and also gripped her phone. She had been very worried with what was going on in shantivan. After serving tea she had planned to call her husband knowing he might be able to reason out with Aakash and mamiji. Midway she had been stopped by Khushiji and chote’s voices. She tried her best to hobble as fast as she could to get closer to them. With the other hand she balanced a tray with a heavy tea pot, a sugar jar and small white china tea cups. Khushi came forwarded and took the tray from Anajli. She set it down on the table and then happily turned. It had grown darker outside. The moon was out and so were the stars. But Khushi felt brighter now. “Sach Anjaliji? Aapko idea achcha laga? Devi maiyaa ka lakh lakh sukhriya. There is atleast one sensible person in this house.” Khushi quickly thanked her devi maiyaa with her characteristic gesture of folding her palms together and in quick succession bringing them to her forehead and back down. Then she stopped to glare at the seemingly nonchalant man still staring at his computer screen. She was busy pouring the tea for Arnavji and completely missed the mischievous smile that shot across Anjali’s face. “cheeni nahi.” she muttered to herself. ASR, having finally succeeded in tuning out the chatter of the women, was busy with the numbers on screen that Aman had emailed him. His face was bent down in concentration. Khushi brought the cup close to his face and rattled it almost under his nose. The khanak of her bangles made him look up at her. It was a nice familiar sound. It did not irk him that this sound came from Khushi’s bangles. On the contrary he had grown used to them. Just like he had grown use to the girl wearing them. He held out his hands to take the cup from her. His lean brown fingers brushed against her soft white ones. She stiffened as her eyes widened slightly. At the exact same moment both Khushi and ASR let go of the cup. It crashed onto the floor. The china shattered into tiny fragments, but no one cared. “uff ho chote, Khushiji.. That was such an expensive tea cup you both broke. Koi baat nahi. Breaking of glass is a sign of good luck. Bahut shubh hua. And that too at the very moment your wedding was mentioned.” Anjali was very happy. This would turn out perfect. Looking forward to your thoughts and comments. Watching, reading, thinking about IPK makes me immensely happy and I hope some of this happiness came across in this chapter too. Excellent. Really enjoyed it. Looking forward to the next chapter. Thanks for sharing with all of us. Hi Rashmi. Thanks a lot for liking the crazy matchmaking. Chapter 2 is already up. I added a link above. Chapter 3 will be up in a day or two. The plan has a twist. See you there. Hey Dawn thanks a lot. Till chapter 3 is up. Really good to see you here. Comments here make our day.. Hope you enjoy some of the other stuff we have too. I have started reading this. Hi Anna looking forward to your thoughts on this ones. Hope you enjoy! Thank you gprs. Welcome here. Hope you are enjoying Hamesha. rabba ve gprs.. thank you for being back.. and happy 7th anniversary!